Hi, I am teacher Marilou, EXCEL ENGLISH's new teacher. 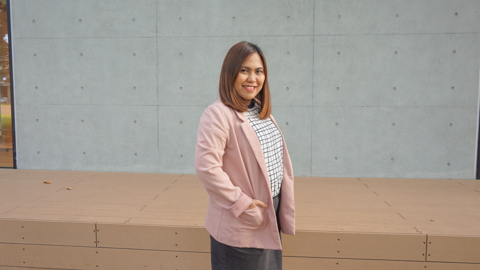 I am an educator hailing from the Philippines, currently teaching in the Land of the Rising Sun, Japan! I finished my Bachelor's Degree in the Philippines Normal University, my country's center for teacher education. I have been teaching foreign students for three years now and still counting. I teach listening, speaking, reading, writing, and grammar lessons. I do review lessons too for those who will be taking TOEFL.I have taught Asian student such as Koreans and Chinese of different levels and backgrounds. This experience in Japan is indeed something new. Japan has always been like a distant dream for me despite of its close proximity to my country. I guess, dreams really do come true! So, take a great leap forward and reach for your dreams too. Start by learning English here with us EXCEL. We'll be more than glad to see you in class the soonest.